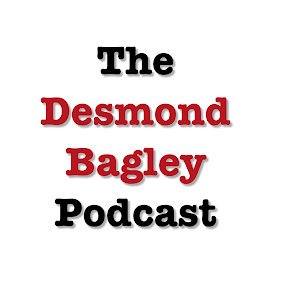 I was delighted when my old mucker Nigel Alefounder over at desmondbagley.co.uk asked me to write the script for the 9th and latest Desmond Bagley Podcast featuring Bagley’s 7th published novel, Running Blind. A firm favourite with many Bagley enthusiasts, the novel is a first person narrative espionage thriller set in Iceland. The story follows the exploits of Alan Stewart, an ex MI-6 agent, who is coerced by his former boss into delivering a mysterious package to Iceland. The assignment begins with a simple errand, a parcel to deliver. But to Alan Stewart, standing on a deserted road in Iceland with a murdered man at his feet, it looks anything but simple. The desolate terrain is obstacle enough. But when Stewart realises he has been double-crossed and that the opposition is gaining ground, his simple mission seems impossible. It was a pleasure to write the script for this podcast, which is narrated by Nigel, so why not pop over to his site and have a listen. Perhaps if you are not familiar with this novel the podcast might inspire you to pre-order a copy, which is due for re-issue in paperback and eBook (ePub, Kindle) format on 20th April 2017, published under the Collins Crime Club Imprint. Pre-order link available here. Also published on the same day will be The Vivero Letter, The Spoilers and The Freedom Trap. This podcast, and others, can be found on Nigel’s own site here and will shortly be available free on iTunes, subscription link here. When the Allies invaded Southern Italy in 1943, Mussolini’s personal treasure was moved north to safety under heavily armed guard. It was never seen again. Now an expedition plans to unearth the treasure and smuggle it out of Italy. But their reckless mission is being followed – by enemies who are as powerful and ruthless as they are deadly. When Tim O’Hara’s plane is hijacked and forced to crash-land in the middle of the Andes, his troubles are only beginning. A heavily armed group of communist soldiers intent on killing one of his passengers – an influential political figure – have orders to leave no survivors. Isolated in the biting cold of the Andes, O’Hara’s party must fight for their lives with only the most primitive weapons…. Ferocious Hurricane Mabel is predicted to pass harmlessly amongst the islands of the Caribbean. But David Wyatt has developed a sixth sense about hurricanes. He is convinced that Mabel will change course to strike the island of San Fernandez and its capital, St Pierre. But nobody believes him, and the hurricane is only one of the problems that threaten San Fernandez….